In an update arriving today, Castro is introducing a new Top Picks feature designed to make managing a large number of podcast subscriptions easier than ever. One of Castro's most defining traits is its triage system: the app by default stores new episodes of shows you're subscribed to in a New section, not in your playback queue, and inside New you can send the episodes you care about to your queue, while archiving anything that doesn't interest you. If you subscribe to a wide array of shows, Castro's New section is great; however, one drawback is that it previously lacked any sort of priority or hierarchy. Though Castro offers the option of having certain shows go straight to your queue, that requires manual configuration, and it's really only ideal for shows that you want to listen to every single episode of. In most cases, the majority of shows will land in New, and Castro previously had no way of knowing which of those episodes you were more likely to care about. That's why Top Picks was created. 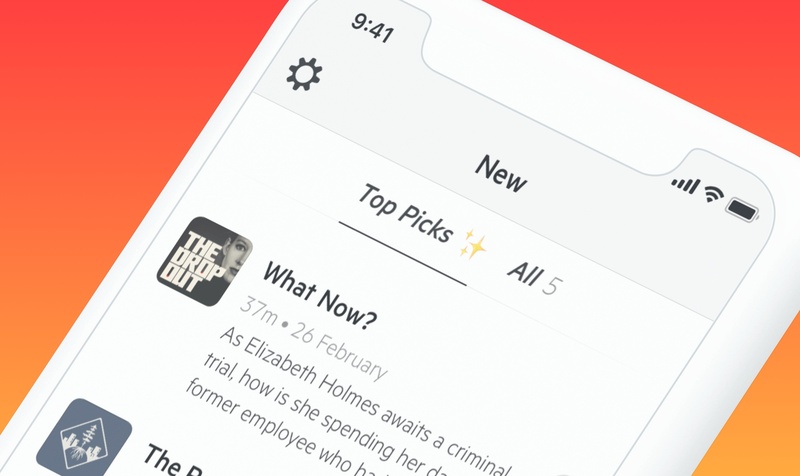 Top Picks is an addition to the New tab which highlights episodes from your subscriptions that Castro thinks you'll want to listen to. You can still access your full subscription roster at any time, but Top Picks will serve as a curated subset of episodes that's easier to sort through. Shows are surfaced in Top Picks based on your listening history, which the app analyzes on-device using only local data, so it remains private. If you're new to Castro, this means it may take a little time to get the best Top Picks suggestions, but the good news is that training the system merely requires listening to the shows you care about. As you make decisions about what to listen to, Castro learns from those choices and uses that data to inform what does and doesn't get sent to Top Picks. If you only listen to a handful of podcasts, Top Picks likely isn't for you because it addresses a problem you don't have. But for users whose subscriptions can be a lot to keep up with, the feature simplifies the act of triage and, in the process, makes Castro an even better tool for enjoying the ever-growing world of podcasts.